Preah Bat Chan Tuk or Buddha Statue, Kampong Thom serves as major tourist attractions of Kampong Thom. The Preah Bat Chan Tuk or Buddha Statue, Kampong Thom is a must in every itinerary to the place for its amazing beauty and the importance it played in the history of the place. 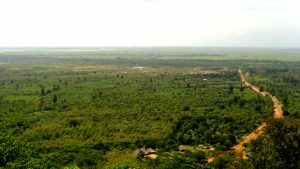 The Preah Bat Chan Tuk or Buddha Statue in Kampong Thom is visited by thousands every year making it one of the favored places in the city. The historical site offers valuable knowledge about the way of living in the ancient era to the historians and the travelers. The Preah Bat Chan Tuk or Buddha Statue, Kampong Thom was built in the 16th century and King Ang Chan I holds the credit for the making this structure. 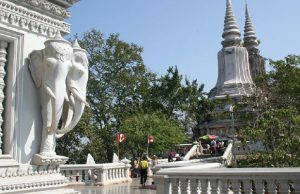 The Preah Bat Chan Tuk or Buddha Statue, Kampong Thom has played a pivotal role in attracting tourists from the neighboring places. The attraction of the place lies in the architecture of the temple along with the serene surroundings. 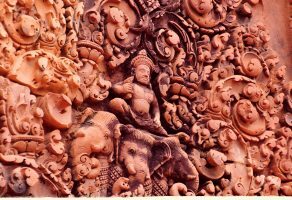 Preah Bat Chan Tuk offers the opportunity to the visitors to enjoy the magnificence of the sculptures carved on the large ancient stones. The series of cravings narrates many a stories to tell. The carvings also stand as the narrator history of the place. The Preah Bat Chan Tuk or Buddha Statue, Kampong Thom is also the place for the imposing Buddha Statue. The Buddha Statue is carved out on the large stones and has been on the place since 16th century. 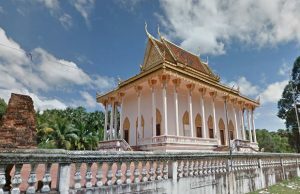 Log on to travel.mapsofworld.com which offers comprehensive information on Preah Bat Chan Tuk or Buddha Statue, Kampong Thom.